I have a san jose mise au jeu authentic center ice jersey by ccm. Im trying to get more info on it and determine its value. Its in amazing shape and i cant seem to find anything online about it? Can anyone point me in the right direction? Thanks! Seriously though, if it's the original style, it could get you a couple hundred bucks. Maybe moreso if it's the teal. You just have to find the right buyer. 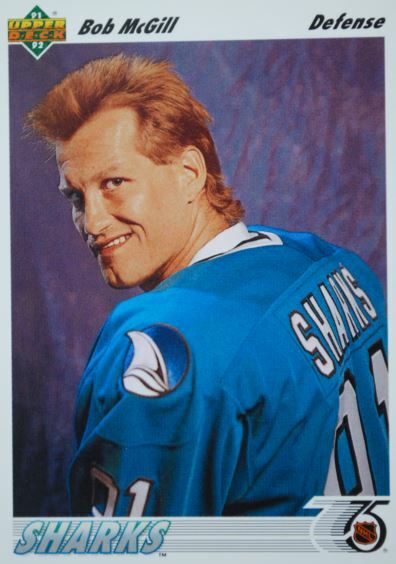 I didn't know Guile played for the Sharks back in the 90's! It really depends on a lot of things. Color, size, is it customized, if it is, is it customized correctly, There is really a lot of factors. I would just go to eBay and check to see what similar ones have sold for. PM me is you have any other questions.